Mini Style LED Display Meter, Display for Air Temperature, Time Clock and Voltage. 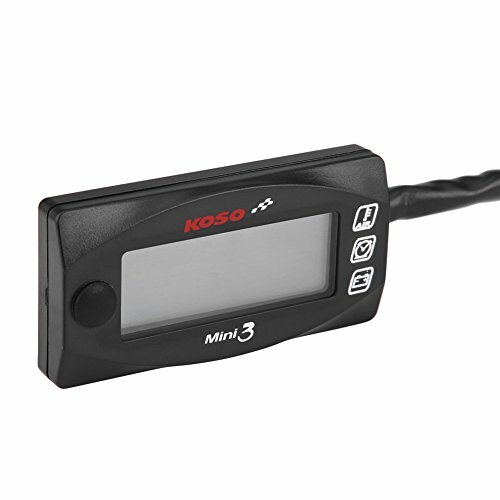 Can measure the voltage of vehicles at any time, more convenient and safe to drive. When the voltage is lower than 11.5V, the meter will flash to warn you. Professional manufacturing and simple design, good waterproof and dust-proof performance. Universal voltmeter fit for most 12V motorcycle, racing, scooter and etc. 【Universal Fit】Universal voltmeter fit for most 12V motorcycle, racing, scooter and etc.